Chromotel, defined as Chromotel in the following paragraphs, is a structure of the company BR&L SA. The following terms and conditions apply exclusively for Chromotel. Bookings made by and for individuals, groups, seminars or banquets are part of this scope of use. Bookings are made through the Chromotel website and are confirmed to the customer in writing by e-mail. With the confirmation, the Chromotel reservations are binding for the customer. Variations of confirmations follow by both parties in writing. Check-in: the day of arrival from 12. Check-out: the day of departure before 11. Pets allowed. Please contact the hotel before the arrival if you bring your pets with you. Special services, or guided tours, require preparation time. In case of a cancellation, Chromotel will charge the costs caused. Breakfast not included. Vending machines available. Half pension available in one of the nearby restaurants on request and at extra charge. Our prices shall be considered inclusive of 3.70% IVA. All costs listed on the booking confirmation are chargeable. The total amount includes all services booked. 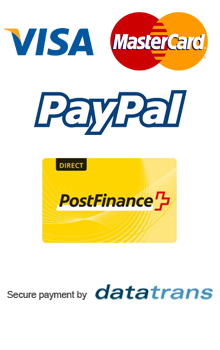 Payment is made online, in advance, at the end of the reservation by credit card (or other means of payment available on the Chromotel website). Special conditions must be agreed in advance, and are valid only if made ​​in writing. The customer is responsible for all damages inflicted to people or property, as well as its consequences, that during his stay were caused by him/her. Chromotel is not responsible for objects that were taken by customers. Any insurance is the responsibility of the tenant, respectively guest. Legal matters are subject to Swiss law. The place of jurisdiction is that of Lugano.